The Casa Del Mar Key Biscayne offers condos for sale that are modern, well-maintained for professionals, business executives, and families that are looking for city life with a great neighborhood feel. Casa Del Mar Key Biscayne provides 24-7 concierge service and valet parking. 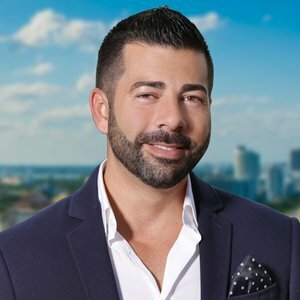 Our concierge can take care of all of your needs like travel arrangements, reservations to one of the many world class restaurants in Brickell, or tickets to your favorite event, they would be happy to accommodate you. The secure garage and valet service make owning a vehicle in the city hassle-free. Casa Del Mar Key Biscayne has a 50 foot lap pool along with a health spa with private treatment rooms, in house maintenance, housekeeping services and a secure garage with a street level café. Key Biscayne real estate has changed over the years and the Key Biscayne condo market has been on the rise with one high rise after the other. It can be overwhelming when looking to buy, but we can help sort through all of what you’re seeing on other sites and help you find your home here. Being in the business for many years, we have the experience and expertise to know what the buying process is. Casa Del Mar Key Biscayne is a great place to live and we would love for you to give you the opportunity to prove it to you, contact us today. Are your eyes hooked to Miami area for finding the next best residential place for yourself? These days, a lot of people are eyeing the Downtown area in Miami, Florida as it is buzzing with too many things to do. With the beach located nearby and an endless list of shopping and dining options, people really want to stay in this amazing area. The Casa Del Mar condominiums offer exactly that. They come with the best neighborhood feel and at the same time give you the chance to cherish the big city life as well. There is the provision of 24 x 7 concierge service and at the same time, you can also enjoy valet parking facility too. The concierge has been trained to take care of all your needs and this includes making travel arrangements or even making reservations at the best of hotels and more. The garage too is secure and you are sure to enjoy your time staying here. Furthermore, each of the apartments comes with its own balcony and there is also floor to ceiling doors which gives you an incredible view of the city. The Casa Del Mar condominiums also come with a lap pool and a health spa. If this isn’t enough, you have your own private treatment room, the best in-house maintenance and of course the finest housekeeping services as well. The real estate market has seen some great changes and it is the condos which seem to be gaining popularity. Before the real estate market starts to peak and the prices of the property shoot the sky, the smarter and the saner thing to do would be to buy a condo here. Of course, one should make it a point to first see the property, check what they are getting, take a quotation and then decide as to what seems to be the best thing to do. Ideally, the Casa Del Mar condominiums seem to be a good choice even for those who are looking to make a good investment because given the kind of scope which this area has, the odds are high that the property prices are going to shoot remarkably high later in the future. Also, those who like to maintain a high standard of living should definitely stay here because it has so much to offer and it will definitely help you live a luxurious life. Downtown Miami Condos and Key Biscayne Condos are now selling at a faster pace than before because more and more people are becoming familiar with the value of new condos in this area with pricey locations such as South Beach. Basically, in the Key Biscayne area you will get more for your money, a great location, a new house with amazing views that these new high-rise residential complex offers. The Casa Del Mar Condos are one of these beautiful residential towers to offer all the amazing facilities that you ever dreamed of. In the condominium development, the magic city of Miami has seen a great development. The condo living is a way itself for life and perhaps it is the most convenient and trendiest type of life embraced by many people who love to have a relaxed place to enjoy the life to its fullest. If your eyes are hooked to the beautiful Miami, then the Casa Del Mar Condos are the best option available for you. As, the Florida area is buzzing with a lot of things to do, a lot of people are eyeing on the Downtown Miami. With the endless options for dining and shopping and the beach located nearby, people truly want to stay in this beautiful area. People come with the best neighborhood feel and have a chance to cherish the big city life as well. The Casa Del Mar Condos are well maintained for families, business executives, and for professionals. And the 24*7 concierge services take care of all your requirements like reservation to world-class restaurants, travel arrangements, and tickets for your favorite events in Brickell. You don’t miss out the chance of being in this city and buying a place to live. 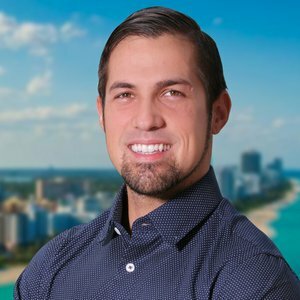 If you are interested in buying a place to live in Key Biscayne Area of Miami then you are recommended to visit https://casadelmarcondosforsale.com/ and look for the best available to BUY or RENT in your budget. Visit now to book a condo for you. In the United States, Miami has always been the highly sought after locations where people drive to live within this area. This area has grown stronger with more facilities that have great qualities which attain global recognition. People who are looking for excellent residential apartments around Florida will get an extensive selection of beautiful condos to choose from. The Casa Del Mar Condos is one of such residential units in Miami that offer you so many modern amenities to live with. If you are looking to BUY or RENT out a property in Miami then Casa Del Mar will only be the best option for you. Located at 881 Ocean Drive at Key Biscayne in Florida the Casa Del Mar Condos offer well maintained and modern condos to the business executives, families, and the professionals. If you are looking for a city life then the Miami area will give you a feel of great neighborhood. This condo unit provides you with 24-hours security services and valet parking facilities that make you maintain your vehicle safely in this city. The security persons will take care of all your requirements like booking any vehicle for you, registration to your favorite event, and reservation to your favorite restaurants. Located in the Brickell, this condominium would be happy to accommodate you. You will get beautiful apartments with floor to ceiling doors and balconies that let you enjoy the Bay Views. You will also get high-security garage service that makes you own a vehicle without any hassle. If you are interested in buying an apartment in the Casa Del Mar Condos then you should visit https://casadelmarcondosforsale.com/ the official real estate website to look for the available options for you. You will get the option to filter your choice to BUY or RENT an apartment. Here, you will all the information about the floor plans and the prices with tax fees. You can also contact the experts available on the website via chat or call at the provided contact number. Foreigners and tourists from all over the world prefer to spend their holidays in Miami because of the top-class experience that they have in this city. People who choose their vacation destination in Miami are the people who want a unique and different ambiance to get rid of the stress of daily life and work. If you want to spend your next vacations here then Casa Del Mar Condos will give you a perfect accommodation feel where you will not be disturbed by anyone for anything. You will get a feeling of relaxing and comfort here in this residential unit. The Casa Del Mar Condos is located at 881 Ocean Drive, Key Biscayne in Florida and offers you the condos that are modern, well-maintained for the business executives, professionals, and families who are looking for a great neighborhood with a city life feel. They provide 24-hours valet parking and concierge services and take care of all your need of reservation to world-class restaurants in Brickell, travel arrangements, and tickets to your favorite events. The management here is always happy to accommodate and assist you. Their secure garage parking facility makes a car-owning hassle-free here. Real estate of Key Biscayne has changed over the years and its condo market has been on the rising one after the other. The Casa Del Mar Condos has a 50-foot lap pool along with the spa for health treatments, a street level café, secure garage housekeeping services, and complete in-house management. It will be overwhelming to you to visit their official rental website for condos at https://casadelmarcondosforsale.com/ and look for the property options that are available for you. You can choose from the BUY or RENT options according to the requirements of floor plans that your family needs. You will find so many property options here but the property agents will help you get the right one for you. You can text them or call them at the provided contact number on the website. The Casa Del Mar condos seem to have the best kind of services and the type of location which is likely to convince you to buy an apartment here. The Casa Del Mar condos come with some of the best and professional looking flats with the right kind of amenities, services and maintenance as well. The neighbourhood is spot on and you can have your privacy and at the same time relish the community feel as and when you want too. Every apartment at the Casa Del Mar condos comes with its own balcony and has floor to ceiling doors as well to ensure that you can enjoy the best views when you wake up. The condo also comes with a 50 foot lap pool which is present along with a health spa and a private treatment room too. This is not all as the housekeeping services along with a secure garage and concierge service means that you really have no reason as to why you shouldn’t be buying a condo here. The area has been hailed as the wall street of the south as too many businesses have come up and the place is going through a huge renovation and improvement of sorts. In the upcoming times, it is highly likely that the price of property is going to increase. So, even if you are not looking to relocate but want to make a smart property investment, choosing to buy Casa Del Mar condos seems like the right thing to do. The future of real estate market especially in this area looks promising. You will be able to enjoy easy access to tons of restaurants, pubs and beaches as well. So, there really isn’t anything wrong with the condo. Look out for the ones which best match your budget and take the right call today!